Car concept designers set the trends that we come to know and love. They design our favorite cars, and they influence the ongoing style that spreads through the auto market. While the exterior of the vehicles they design is what often gets the most attention, it’s the inside of the vehicles that actually has the bigger influence on how we enjoy the vehicles. People are done getting into the car and trying to settle into an ice-cold seat or one that feels like a stove top. More vehicles are now coming with heated and ventilated seats to ensure that you have a comfortable seat waiting for you, no matter what the weather is like outside. Some only offer them on higher trim levels, though more luxury vehicles offer them on the base models. But what good will a heated or ventilated seat be if you have a thick seat cover laying over the seat? Car seat covers are expected to adapt, primarily in terms of using breathable fabrics that will allow the cool or the warm air to pass through easily. Auto seat covers may also adapt by including panels, mesh, or slits where the ventilation or heating elements may be located. This would require that the seat covers are designed for the specific model or that a universal design is used for heated and ventilated seats. Think about how wonderful it would be to get a massage as soon as you get in the car after a long day at work and on a long commute back home. Depending on what you drive, you might be able to do just that. Many cars are now coming equipped with massage rollers or vibrators in the car seat to massage your back while you’re driving. Seat covers won’t interfere with this functionality based on their design alone, but thicker fabrics could blunt the effects. Car concept designers predict that more flexible fabrics will become popular for car seat covers so that any massage features in the car will be fully felt. Some say that the car seat covers themselves could also come equipped with massage functionality, thereby offering added value for those who don’t want to invest in a luxury vehicle with the feature. A lot of cars have bucket seats in the front, but there is a wide variety in the designs. One car seat cover won’t necessarily fit all car seat types. The variety of designs isn’t likely to change any time soon, car concept designers say, so they expect that car seat covers will adapt by offering more designs. Either they will come in a wider variety of designs, or they will be made to accommodate different designs with flexible fabrics, flaps, straps, and other features. Everything that is old becomes new again. Designs that were once popular are going to be making a return to cars. Car designs are putting a new twist on older models or are bringing back certain elements of popular designs. Likewise, car seat covers are bringing back old designs, such as faux fur covers and covers with Hawaiian florals or bright colors. Getting a glimpse into the future of automotive designs also means getting a glimpse into the future of auto seat covers. We’re excited about the trends we see coming up! If you’re in the market for auto seat covers, Seat Covers Unlimited offers the largest selection of seat covers online. They have seat covers for sale for just about every make and model of vehicle, and you can customize your covers with options like fabric choice, color, pattern, and more. 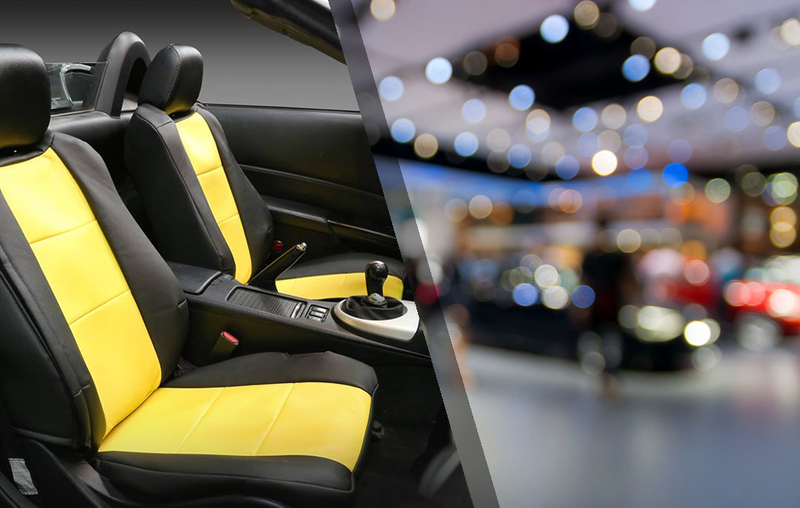 Check out Seat Covers Unlimited to get the best prices on seat covers for sale online to not only protect your vehicle but to show off a bit of your own personal style.